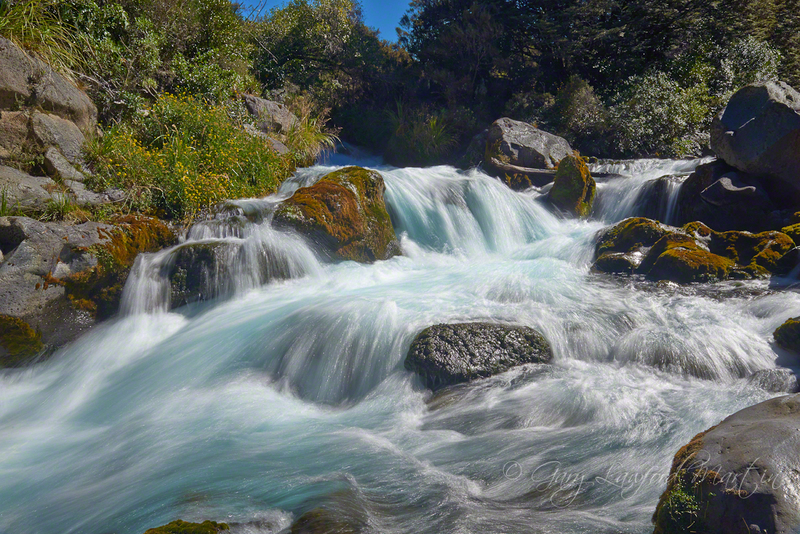 Waihohonu Stream is another stream flowing from Mt Ruapehu, across the Desert Road and down to the Tongariro River. The sun was very bright in the white water and with an ND8 neutral density filter I had the camera set to f22 and ISO50 to get the slowest shutter speed I could to smooth the water flow. Import sharpen, shadow, highlight and minor colour adjustments in Capture One Pro 7. Detail and lighting adjustments with Topaz Labs before final export.